Kendall is a simple man whose only worries are to make sure his farm grows and flourishes well. He is so laid back and innocent that he doesn't even realize that his wife is cheating on him. Although he isn't a stupid man he sometimes seems like it and it is often talked about that he may be a craven. It wasn't that he was cowardly, he just wasn't interested in fighting. He was most happy surrounded by his farm life with his wife at his side. He is the complete opposite of his wife. Where she is melancholy and moody Kendall is almost always cheerful and able to uplift anyone's spirits aside from his own wife. He is usually heard either humming or whistling sometimes even singing. He hardly ever gets mad but when he does he is a force to be reckoned with. He becomes withdrawn and angry taking his anger out on only the person he is angry with. 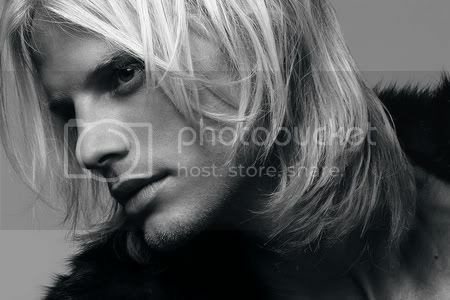 Pale blonde hair frames his face and swirls down to a little past is shoulders but this is his most striking feature. He has the face of a boy with soft features and pale blue eyes hidden under the thick hair. Randell wears his hair up most of the time in to keep it off his brow as he works. His body is very lean and muscular because of all of the manual labour he preforms, and his hands are very well calloused. He refuses to fight and the only time he will wield a weapon is when he goes out hunting in which case he takes a willow bow said to be very flexible and lightweight with simple arrows. Born a simple child on a great plot of land Kendall grew up to love and cherish the land. He worked next to his mother and father day and night planting and harvesting, milking the cows and slaughtering those who were to old to milk. It was hard work but Kendall loved it. He loved being outdoors his skin sun-kissed and tanned but more than loving the land and his freedom on the farm Kendall loved watching the next door neighbor's daughter. Ever since as far back as he could remember he had loved her. A young girl with dark hair and perfect skin. He told himself daily that one day she would be his. His mother noticed the boys looks but said nothing to him instead forming her own ideas with her husband. Although their land was rich in soil and bore many good plants a bigger farm would be financially needed. When Kendall became of age his parents went next door and spoke to the mother making a wedding arrangement in which the daughter and the son would be promised to each other. Kendall was sixteen but but Alys was only fourteen and although she had reached her blood moon her mother wouldn't allow her to marry until she was sixteen. The day after Alys' sixteenth birthday Kendall and Alys married making Kendall the happiest man he knew. He would love and cherish her just as he loves and cherishes his land. He made sure to work extra hard so that his new bride got everything she wanted but she never seemed truly happy with him. Kendall took note of this but after a while pushed it aside allowing himself to believe what his heart wanted not what his head knew. He knew Alys was far to close to her brother but her brother was the only thing that made her truly happy and he would not allow anything to make her unhappy so he put up with it. Every night that Alys has her nightmares Kendall holds her close in her sleep and cries silently whenever she whispers her brother's name instead of his own. Upon the news of Alys' child Kendall was ecstatic thinking this would be the saving grace of their marriage and Alys would finally truly love him. He never once thought the child could be her brother's but only time would tell whether the child would bare the pale blonde locks or the looks of another.